Have you previously attended a clinic and would like to see how your stroke is progressing? 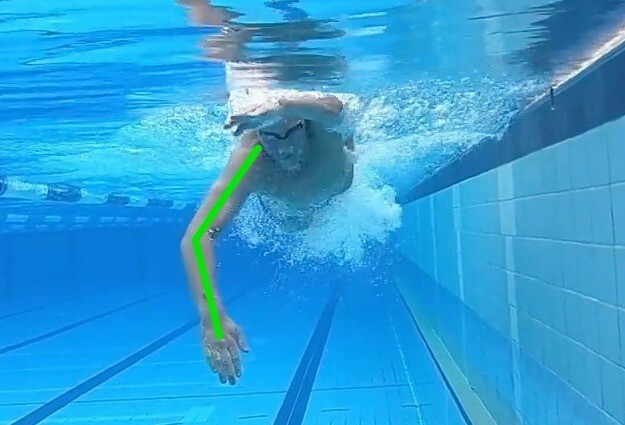 Get your stroke filmed from multiple angles and receive a comprehensive technique analysis with recommended drills and exercises from an Effortless Swimming coach. This follow-up filming and analysis is designed to help you check your progress and continue to refine your stroke. Suitable for swimmers and triathletes from 9 y.o and up of all abilities and must have already attended an Effortless Swimming clinic. Discover where you can find extra speed and efficiency in your stroke. Learn what improvements you’ve made to your technique since you first attended a clinic and uncover which drills will help you change the key areas of your stroke. Please note: The session's duration is 30 minutes (includes 15 minutes for a light warm up and then your underwater filming) . Only the filming will be done at the session with the analysis done by your coach during the week (not in-person at the session). It will be sent to you via the Skillest app within seven (7) days of attending the session. The 30-minute follow-up filming session can accommodate at least 12 participants. The follow-up film and feedback was fantastic. Filming was efficient only took 30 mins for the group. Feedback and analysis were very helpful. Thoroughly recommend. The follow-up filming was fantastic. The session was quick and great value and the feedback was amazing....gives a lot of specific feedback and specific areas to work on.